Front and centre of the PACCAR Australia stand will be the all-new Kenworth T410 and T360 models – along with the new locally-built DAF CF85. 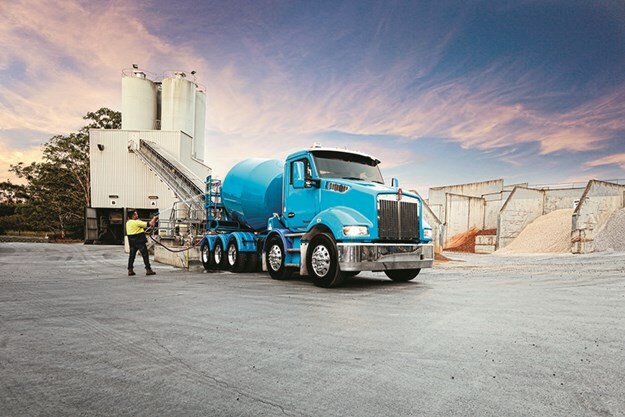 Paccar Australia has many new and exciting products and services to share with Brisbane Truck Show patrons in 2019 at the PaccarWorld display located on the Foyer Level (Stand 40). In yet another example of the benefits of local application-engineering and manufacturing for Australian road transport operators, Kenworth will be launching the new T410 and T360 models in a range of configurations at the show. Designed with extensive customer input to deliver in Australian conditions, they carry forward all the benefits of the T610 cab design, and are engineered to suit their intended applications. The latest additions to the T610 range will also be on show, including the new 600mm and 1,400mm sleeper options made to measure for Australia’s unique regulations and environments. These new models are further evidence of the real value of a truly Australian-made product. Taking pride of place in the DAF display will be the outstanding DAF FTT CF85, now proudly locally assembled at the PACCAR production facility in Bayswater, Victoria. The versatile FAD CF85 and the Euro 6 LF 290, which was introduced late in 2018, will also be featured exhibits, as well as the flagship DAF FTT XF105 510 prime mover. Along with the best truck range at the show, the Paccar World stand will showcase the exceptional products and services on offer from Paccar Parts, Paccar Financial and PacLease, demonstrating Paccar's unmatched ability to support and service your needs right across Australia. There will be experts on hand, happy to discuss the opportunities in finance, lease or rental solutions, or parts programs tailored for you. Representatives from the Paccar Dealer Network will also be providing their unequalled knowledge and advice for customers seeking the right vehicle and benchmark support for their business. Plus, stand visitors will have access to local Paccar personnel from a variety of disciplines, including product design engineers and management who are actively engaged every day delivering the best road transport solutions for Australia. The development of the T360 and T410 started after the release of the T610 in early 2017. Further developments to the T610 platform incorporated enhancements to some key elements to produce purpose-built solutions for specific freight and vocational tasks including line haul and tipper and dog for the T410, and rigid applications for the T360 including agitator and tilt-tray operations. The T410 and T360 are simply the best in the business. Early feedback from prototype customers has been overwhelmingly positive and we are looking forward to these new models coming to the Australian marketplace at the Brisbane Truck Show. Featured as a dedicated display in Paccar World, the Paccar MX-13 engine and new Paccar transmission powering the T410 are integrated and optimised to deliver exceptional performance and efficiency. Available in either 460 or 510 horsepower variants, the performance and responsiveness of the Paccar MX-13 engine has delivered fuel economy and operational benefits, and when coupled with the smooth responsive shift patterns of the new Paccar 12-speed automated transmission, is a perfect choice. The Kenworth display will also include the iconic T909 and K200 models, as well as showcasing the full range of T610 sleeper options, including the 600mm sleeper for shuttle operators in maximum length applications. 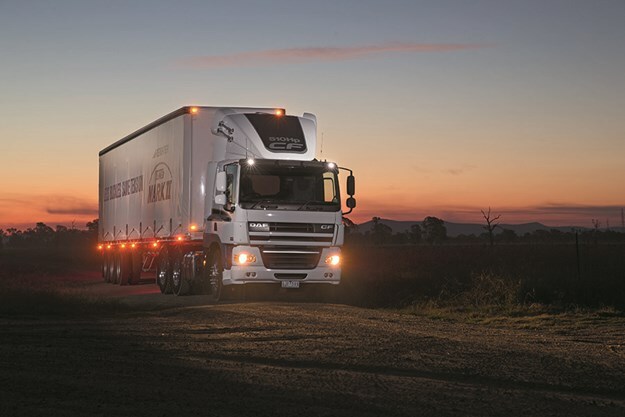 DAF Trucks Australia will feature the Australian-built FTT CF85 510, the Euro 6 LF 290, the versatile and body builder-friendly FAD CF85, and the FTT XF105 510. The FTT XF105 510 is now available with proprietary DAF SR1360T tandem drive axles, electronically-controlled air suspension (ECAS) and axle-load monitoring (ALM) system. With its combination of all-round disc brakes and ECAS, the XF is the perfect balance for heavy jobs and long hauls. DAF continues to attract customers with a model range delivering outstanding comfort, safety and efficiency for the local market. As was announced formally in August last year, the Paccar facility at Bayswater in Victoria now produces the DAF FTT CF85 510 on the same line as Kenworth, further utilising the award-winning engineering and production teams, and the exemplary quality processes at the Bayswater facility. With a view to expanding the DAF model range assembled in Australia, PACCAR’s $37 million expansion will allow the plant’s manufacturing capability to double by 2021, heralding real excitement around the opportunities this new capacity will bring to DAF. Paccar dealerships are designed to be ‘one-stop’ trucking outlets – where customers can find the right commercial vehicle, finance solutions and support with the highest quality parts and servicing once on the road. The Paccar World stand reflects this holistic approach and patrons will see truck and engine displays, as well as having access to Paccar Financial and PacLease experts, parts and service personnel and the Paccar merchandise range. The 2019 Brisbane Truck Show will be held at the Brisbane Convention & Exhibition Centre from Thursday, May 16 to Sunday, May 19, 2019. To secure your ticket – and go into the draw to win a Toyota HiLux Rugged X – click here!